Following on the heels of The Womanist Reader, The Womanist Idea offers a comprehensive, systematic analysis of womanism, including a detailed discussion of the womanist worldview (cosmology, ontology, epistemology, logic, axiology, and methodology) and its implications for activism. From a womanist perspective, social and ecological change is necessarily undergirded by spirituality - as distinct from religion per se - which invokes a metaphysically informed approach to activism. Layli Maparyan is Associate Professor of Women's Studies and Associated Faculty of African American Studies at Georgia State University. 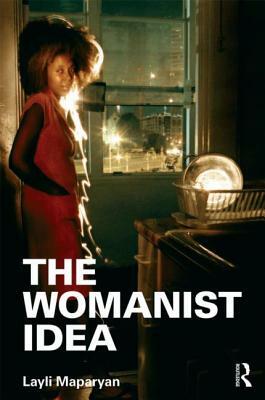 In 2006 (as Layli Phillips), she published The Womanist Reader, an anthology documenting the first quarter century of womanist thought from an interdisciplinary perspective. Since 2006, she has worked collaboratively with the University of Liberia to develop its inaugural Gender Studies Program, serving as a Fulbright Specialist in 2010. In 2009, she was awarded a Contemplative Practice Fellowship by the Center for Contemplative Mind in Society to study and teach womanist spiritual activism internationally.